LED lighting has grown to become the default choice for new lighting and upgrades. The reasons are many — better lighting quality, deeply lower energy costs and a much longer, low-maintenance life. Now companies in both the LED and IT industries recognize that LED lighting is the perfect platform to turn the Internet of Things (IoT) into a workday reality. Cree introduced SmartCast® Power over Ethernet (PoE), an intuitively simple, scalable and open platform that enables the IoT for buildings through better light. SmartCast PoE is the first LED lighting platform that makes the PoE framework ready for mass deployment and adoption. Cree’s SmartCast PoE embeds intelligence to make buildings more efficient and people more productive, while delivering far better light for less energy than ordinary LED lighting systems. Cisco’s Digital Ceiling framework provides connection to the network. How does Cree SmartCast Technology PoE work? Power over Ethernet (PoE) uses standard Ethernet cables to carry both power and data, replacing more expensive AC wiring while networking LEDs and a complement of sensors. Instead of wiring the light fixture into the building’s AC electrical system, it’s simply plugged into an Ethernet port and the network. PoE isn’t new — it’s been a proven technology since 2003 and is standard for wireless access points, security cameras and VoIP phones. But Cree is making this framework cost-effective, simple, and viable for widespread deployment through with SmartCast® Technology. Cree applied its proven SmartCast® Technology controls to a PoE infrastructure in order to solve the inherent commissioning complexities of deploying network-powered smart lighting within buildings. Cree’s SmartCast® PoE works out of the box, just like the original SmartCast Technology, and enables up to 1000 devices to be commissioned at one time with a single stroke. Cree’s series of SmartCast-enabled LED lights, light switches and dimmers operate with Cisco’s standards-based PoE-powered network architecture. 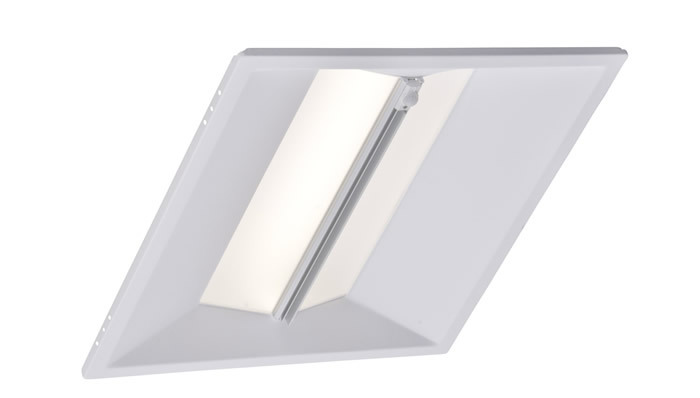 This platform provides power and networking for the lights with a standard Ethernet cable, eliminating the need for separate data and high-voltage power connections. Applications start with baseline strategies, such as occupancy detection and daylight. The SmartCast® Manager Application will enable advanced energy-saving strategies like task tuning and real-time visibility and analytics of energy usage. Typically, what are the steps and equipment required to implement the system in an office building that is currently using fluorescent lighting? In short, a lot less than other technologies. Traditional lighting control systems are costly and complex — and other PoE schemes are even more complex to commission than traditional controls. A 2015 U.S. Department of Energy report cites complexity, lack of standardization, and high costs among the chief barriers to adoption. The original SmartCast® Technology addresses cost, simple deployment and ease of use. But building owners, engineers and architects don’t want to stop at lighting. Commercial buildings have a multiplicity of complex systems such as HVAC, plumbing, smoke and fire, security and safety that must respond to dynamic conditions; and, all are candidates for greater efficiency, control and interaction to create cost savings and better experiences for the end user. Cree SmartCast PoE provides the technology to make the lights smart and the platform to deploy the intelligence across commercial buildings out of the box. SmartCast® PoE cuts out the extra setup steps and devices found in ordinary LED lighting controls. That means less time and money spent designing, wiring, installing and commissioning your lighting project. The SmartCast® PoE Fixtures are shipped with sensors and intelligence already built in, and a simple setup intuitively configures and groups up to 1,000 intelligent luminaires throughout a commercial building at one time with a single keystroke. The lights and PoE switches are a part of the lighting network that delivers commands and messages across the platform. It can work independently or use SmartCast® Link for full integration into the enterprise network. Do you have a ballpark estimate of the payback period of a typical installation? In new construction the total installed cost of SmartCast PoE is less than ordinary LED lighting with controls. Its cost is equivalent to dimmable fluorescent systems with controls. What affect will this solution have on enabling business to maximize energy efficiency? Lighting typically accounts for more than a quarter of a commercial building’s electricity use, or about 10 percent of the building’s operating costs. With Cree SmartCast® Technology, building environments can reduce lighting energy costs up to 70 percent while saving money, improving aesthetics, lowering total cost of ownership (TCO) and making an enterprise more productive. The LED fixtures share data with each other from their integrated occupancy and daylight sensors while utilizing their embedded intelligence and sophisticated algorithms to provide precisely the right amount of light at the right time based on changing conditions within the building. Meanwhile, operators have to do — nothing. The SmartCast® Manager Windows PC-based application delivers even more energy savings with aggressive control settings for occupancy detection, daylight harvesting and other energy-paring strategies. Task tuning can decrease maximum light levels available across all devices or in specific areas where lower light levels are desired. An energy savings dashboard allows you to visualize energy savings deployment-wide or in specific areas to uncover additional ways to save. Operators can also configure the application to collect historic energy savings data then export that data for further trend analysis, measurement and verification. Beyond energy savings, what other benefits could this technology offer? Beyond energy savings, Cree SmartCast® PoE transforms user experiences in environments ranging from office spaces to hospitals and universities. That’s because at the heart of all these innovations is an ethos we call Better Light. 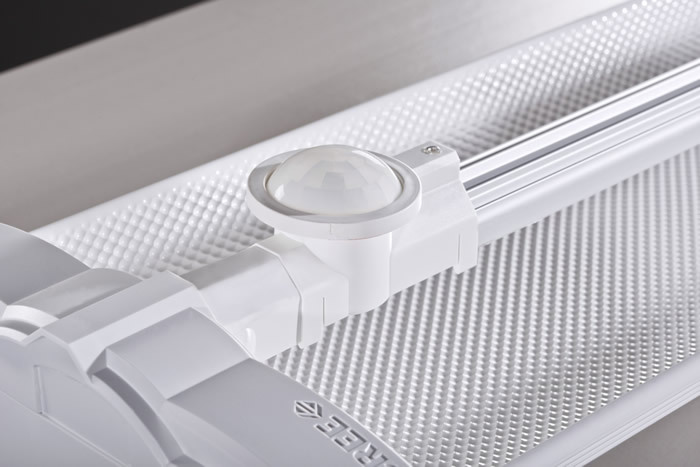 Better Light is Cree’s vision for an informed and informative LED lighting platform that enables higher productivity, a heightened sense of well-being, greater safety, security and comfort. Use cases could include optimized color temperatures to support circadian protocols and alertness as well as integration with building management to manage space conditioning, location services and many others. The scalability of SmartCast® PoE extends further when networked and connected to other devices. It will be able to monitor and adjust for occupancy patterns, resource utilization and much more. Ultimately, customers will be able to apply the same kind of enterprise-wide asset management as with any IT device, to remotely monitor, update, track and configure every fixture, sensor and control on the lighting network. In addition, the platform is open for integration with third party applications enabling a future set of applications that is only limited by the imagination. It enables the app store for buildings. Mobile, Ala. County Public Schools recently deployed Cree SmartCast® PoE Technology in their administrative offices, with plans to implement in classrooms this spring. Now, educators and students can experience the power of high performance, intelligent LED lighting, and unmatched energy efficiency – leaving budget for more important initiatives to further education. Is the system available now? What expertise is required to install it? Initial installs are underway, and Cree SmartCast Technology with PoE will be commercially available in the second quarter of 2016. Visit www.cree.com/smartcast for more information.